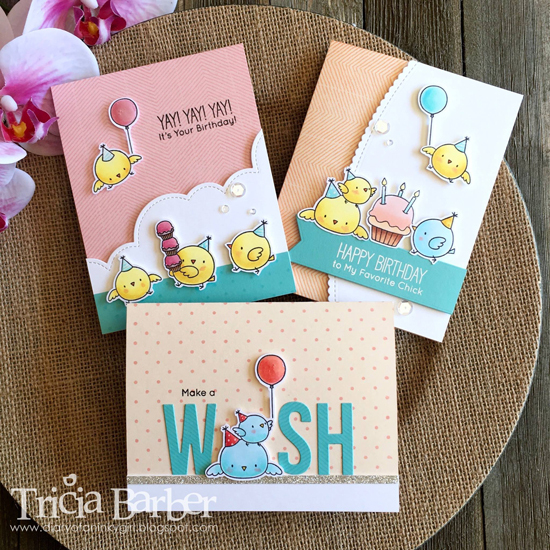 Tricia created a fabulous trio of cards featuring the adorable images from the Birthday Chicks stamp set. We love how she combined them with various die cut elements to create completely different looks on her card designs. Beatrix created a sweet scene with a mama and a baby dragon enjoying life together in a cloud-filled sky. 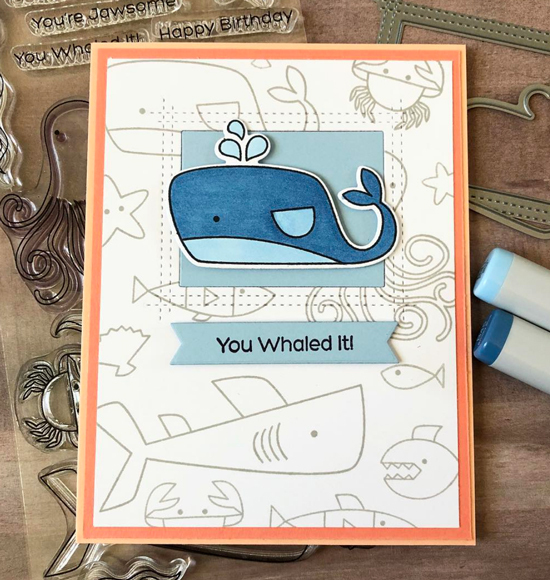 Stamping the sentiment onto one of the die cut clouds is a great way to include the message on the card without covering up the images on her scene. One layer cards seem simple at first, but upon closer inspection, they reveal so many wonderful hidden details! 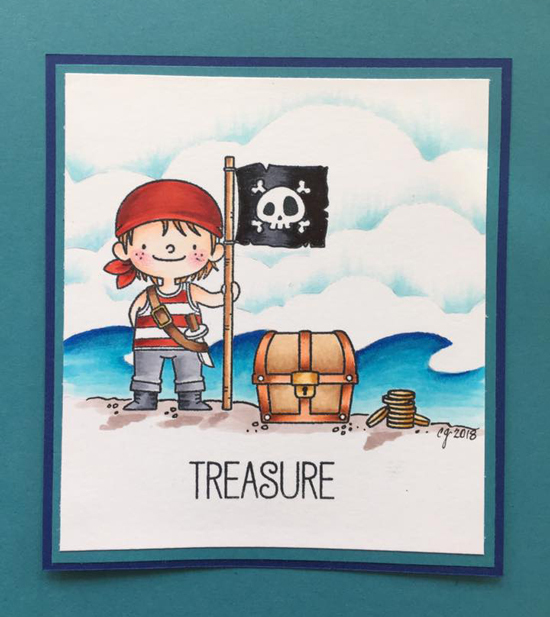 Carol created a fabulous scene with stenciled clouds and water as the backdrop for her captivating pirate and his hidden treasure. 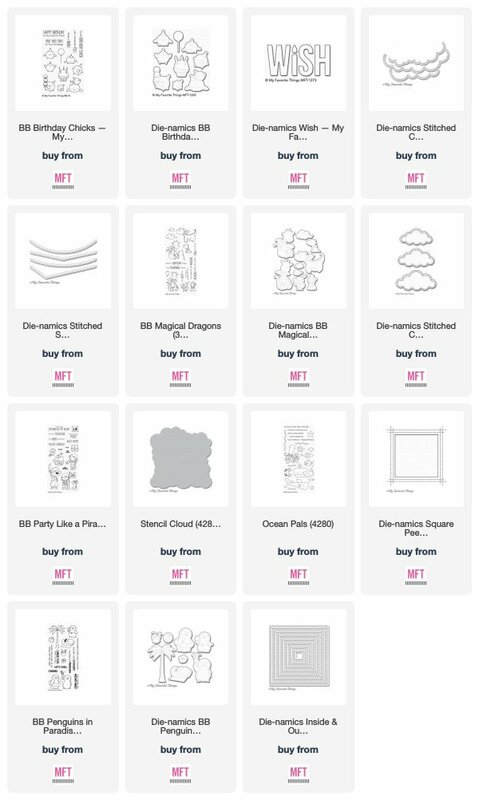 Using image stamps to create stamped backgrounds is a great way to stretch your supplies even further and really customize your design. Dana created a muted background with gray inks and then used one of the same stamps for her colorful focal image. 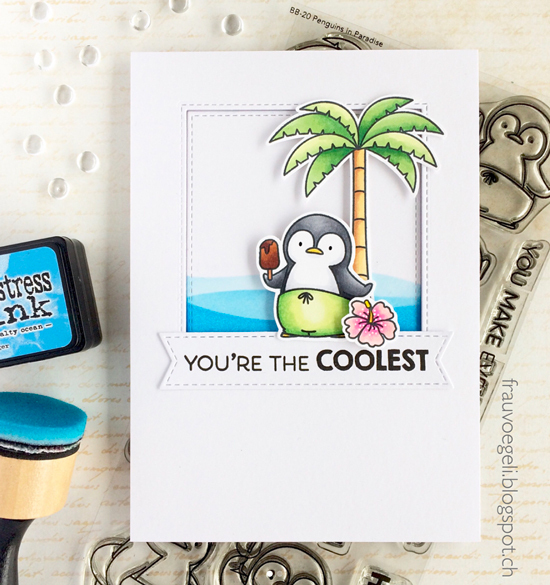 Layered shades of blue ink created a dimensional water landscape behind Nicole's cool penguin image and really helps her scene stand out against the white background. We love the framed scene with the images slightly overlapping the sentiment strip below. Such great and inspiring cards! Awww, so inspirational cards, I love them all! Thank you so much for choosing mine too! 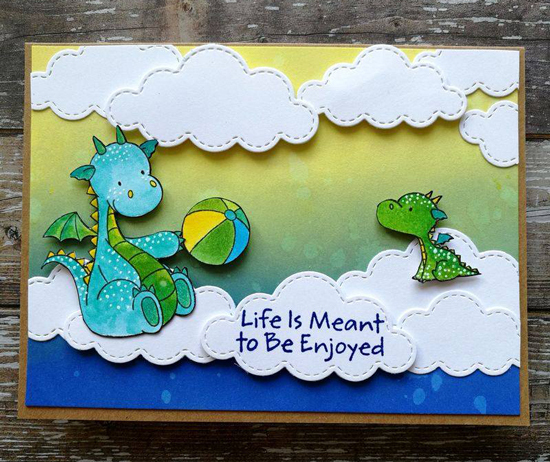 For my dragon scene I've used the "Fun in the Sun" stamp set for the sentiment and the ball. It was so much fun. Thank you so much for showcasing my card!!! And CONGRATS to all the other super creative people. Love those creations a lot, they are very inspiring!